WASHINGTON (AP) — Attorney General Loretta Lynch acknowledged Friday that her impromptu meeting with Bill Clinton "cast a shadow" on public perception of the investigation into Hillary Clinton's email. She hastened to add that she would follow the recommendations of career prosecutors on whether to file criminal charges against the former secretary of state. The statement was aimed at tamping down concerns that the investigation could be politically tainted or that Lynch, an Obama administration appointee, might overrule the findings of agents and prosecutors. They have spent months looking into the possible mishandling of classified information on the private email server Clinton used as secretary of state. Lynch said she understood that her private meeting with Clinton aboard her plane in Phoenix might be seen as compromising the neutrality of the investigation, even though she said the probe of Hillary Clinton was not discussed. "I certainly wouldn't do it again," she said. Addressing the matter at a Colorado conference, Lynch said: "This case will be resolved by the team that's been working on it from the beginning." She said she will accept the recommendations of that team, whenever they come. The outcome of the investigation is bound to play heavily in the presidential campaign, whether to Clinton's benefit if she emerges unscathed or Republican rival Donald Trump in the event that she or anyone close to her winds up prosecuted. Trump tweeted that "Bill's meeting was probably initiated and demanded by Hillary," without offering evidence of that. "Does anybody really believe that meeting was just a coincidence?" he asked. 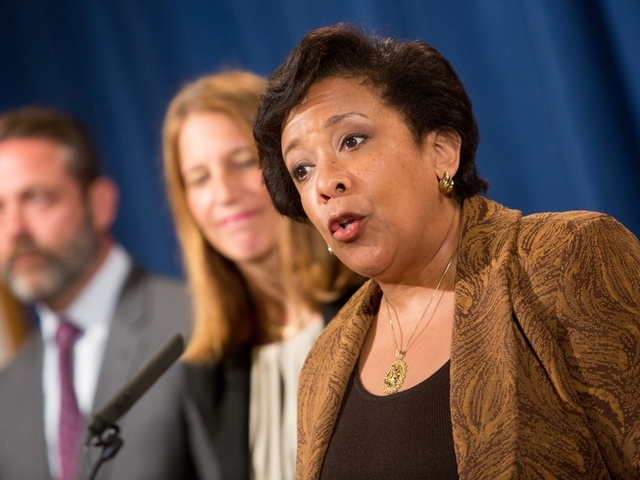 Bill Clinton and his wife's presidential campaign declined through spokespeople to comment on Lynch's remarks. Congressional Republicans have seized on the meeting between the former president and the attorney general. "The notion that the prosecutor, the person who runs the Justice Department, would spend 30 minutes in a private conversation with the spouse of someone her department is investigating raises all sorts of red flags and even Democrats have admitted it," Sen. Marco Rubio of Florida told Miami 610 WIOD Radio. "Obviously, they're not going to say terrible things about her, but even they've admitted that it looks bad." Lynch told reporters earlier this week that the meeting was unplanned and happened while the former president was waiting to depart on another plane. She said he walked over and boarded the attorney general's plane after she landed there. She said Clinton talked about his grandchildren and told her he had been playing golf in Arizona and said they discussed former Attorney General Janet Reno, whom they both know.